One man is reportedly in custody in suspicion of starting the Ponderosa Fire, which has grown to 3800 acres as of September 1, 2017 at 1:50 PM. 20 homes and 7 outbuildings have been destroyed so far. 500 homes and 800 outbuildings are now threatened. The fire is 33 % contained. Italians always serve revenge on Nazis when its hot and again when its cold. Dirty filthy Nazi racists better be ready for the rest of their lives!!! While we are putting this up online that the COG has openings for 2 citizen members to apply to it's board of directors. Abuse of power is rampant here on the COG, however. We want to warn you, that the elected persons serving on the COG choose people by their politics. Oliveira, for example, only picks neo-Nazi type gun thugs and Trumpers, so beware!! September 1, 2017 at 12:50 PM: A collision involving a motorcycle has been reported on Hwy 12 at Disch Road in Lockeford. University of Washington professor Dr. John Gastil wrote in his book, Democracy in Small Groups, "When taken to extremes, exceedingly long meetings can reduce group members willingness to attend at all, which creates an inclusiveness problem." Why you can't you see the problems with your board meetings lasting 'twice' as long as need be shows that you are stupid, ignorant or both. I see that one supervisor wants to do away with evening meetings. Those meetings are meant to increase participation; not viewers. Most all city councils and city planning commissions have only evening meetings because most members of the public have 9-5 jobs that would not allow them to easily attend daytime meetings. 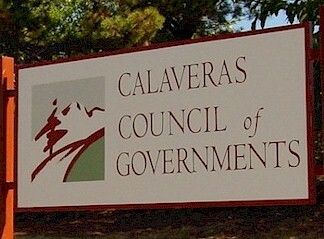 It can be argued that because of the length of the agenda and long hours that the Calaveras county Board of Supervisors meets are .."Open Meeting". There is something wrong all of you! P.S. Exactly what Hawaiian island is part of Calaveras county, District 1 and is Danville, California going to be the next Calaveras County seat? 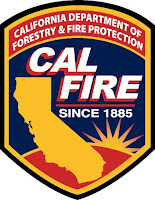 CalFire has issued warnings about the extreme heat expected over this Labor Day Weekend. The fire danger is extreme. Be cautious and stay cool!